For many people who work in Hyperion product suite for a long time this is a silly question. I will try to explain in simple terms what the above mean. First lets go to Patching. When a new version of software is released some of the components of it may not work properly. The issues are generally called bugs. If a particular software has lot of bugs the software development team will combine solutions for all the known bugs into an small additional release called Patch. For example Hyperion smart view version 11.1.2.2 has some issues to it. Oracle Hyperion combined all the solutions to those issues and released a .300 patch. When you install the patch our 11.1.2.2. version will be now 11.1.2.2.300 version. How do we know what's included in the patch? To install the patch is it as simple as double click the .exe? In a nutshell strictly follow readme document even if you don't like it. Unable to login to Hyperion Workspace or Planning. 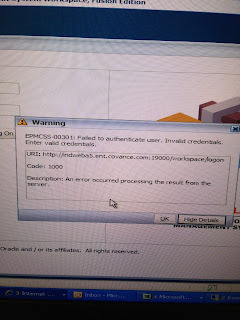 One of my friends got this error which says EPMCSS-0031: Failed to authenticate user. Invalid credentials. Enter valid credentials. All the services (Hyperion Planning, foundational, APS, EAS) were up and running. The passwords were not changed. She tried to restart the services but no luck. Finally she checked whether the relational databases which support foundation and planning were up. The prod support told that there was an issue on relational database side and they were down. The gist of this post is if we have this error, we first need to check whether relational database is running or not, next did anyone change the password and then are the services running are not. Recently we upgraded our Hyperion product suite from 9 3 1 to 11.1.1.2.2.300. I will list all the issues we faced on the road to latest and greatest hyperion product suite. 2) In SmartView panel navigate to the required connection and connect. 3) Right click on connection and click on "Adhoc analysis". 4) Choose the following option on prompt "Reuse sheet content and pov". 5) A message box will display with following info "Old SmartView grid format detected, This operation will convert the grid into the new format, do you want to continue?" click Yes. 6) After that save the workbook and user can continue normally. I recently came across book on Hyperion Planning version 11 which is of great quality. I know author of this book ,Sandeep Reddy , via oracle forums and had good e mail discussions with him in th past. All his posts in oracle forums were very valuable and technical in nature. I read his recent book and found it very informative and must have if you are working on Hyperion or if you want to plung into Hyperion Planning world. I feel privileged to review verynice work by Sandeep Reddy. I knew Sandeep since past 4 years when he wasraising star in our field. He always extended his helping hand for starters inthe Hyperion technologies via blogs and as frequent responder for querieson various online forums. His latest effort Getting Started with OracleHyperion Planning 11 is indeed a great work. When I was reading hisbook I felt that he was holding my hand in Hyperion jungle and magicallyde-mystifying all secrets in software along with simple and easy to understandreal time examples. I had seen previous works by others on this software.Sandeep stands apart from them including discussions on architecture part ofHyperion planning including installation and that to in a new version (11).This is very comprehensive work including all concepts from installation tocommon mistakes done by users and how to avoid them. This book is one stop shopfor all who want to start their careers in Hyperion planning or who are inplanning field and want to learn more. " Today we discuss about common admin tasks we encounter during typical work day of an essbase administrator. Every morning I check status of my Nightly cycle. Nighty cycle is an automation process which builds my hierarchy, clears data, loads data and runs all aggregation and different business logic calc scripts and completes backup. Nigthly cycle is my full load. However I also do incremental data load and check the status of the incremental load and check to see if there are any errors or rejects. Database Health: Check to see the fragmentation ratio and if it is more than 50 % framented and calc scripts were taking awfull lot of time, then I will initiate dense restructure (which removes fragmentation) that night. Generally dense restructures were not done during week days. Only exceptional cases are entertained. As part of nightly cycle my main cube also feeds data to reporting cube. I use dataexport command to export and outline extractor combined with HAL (Hyperion Application Link) to export and format metadata. We schedule all the jobs using windows scheduler and automation was done using windows batch files. If the calcs are running slow, we check how much database was fragmented, size data cache, outline order etc. If Data cache is full, we need to increase the size of data cache. After increasing the size, database needs to be started for it to take effect. Stopping and starting database in the nightly cycle is also good practice. It removes cache build up. If the database is corrupt or atleast we have a suspicion that database is corrupt we use VALIDATE command in ESSCMD. If the database is corrupt we can restore database from backup (discussed in backup post). Sometimes essbase service won't start eventhough we start it manually. This is because of any idle process running before essbase went down. Those orphanned (Idle) process won't allow essbase service to start. I use windows process explorer (tool from Microsoft, just like task manager) to kill those idle processes and restart essbase. How do you optimize outline? What are the ways to improve performance during data loads? What are the design considerations for calculation optimization? You can configure a database to optimize calculation performance. The best configuration for the site depends on the nature and size of the database. How can you measure fragmentation? You can measure fragmentation using the average clustering ratio or average fragmentation Quotient. How do you can prevent and remove fragmentation? · To prevent fragmentation, optimize data loads by sorting load records based upon sparse dimension members. For a comprehensive discussion of optimizing data load by grouping sparse members. · To remove fragmentation, perform an export of the database, delete all data in the database with CLEARDATA, and reload the export file. · To remove fragmentation, force a dense restructure of the database. As your business changes, you change the Essbase database outline to capture new product lines, provide information on new scenarios, reflect new time periods, etc. Some changes to a database outline affect the data storage arrangement, forcing Essbase to restructure the database. What are the types of database restructuring? What are the conditions affecting Database restructuring? · If you use Intelligent Calculation in the database, all restructured blocks are marked as dirty whenever data blocks are restructured. Marking the blocks as dirty forces the next default Intelligent Calculation to be a full calculation. · If you change a name or a formula, Essbase does not mark the affected blocks as dirty. Therefore, you must use a method other than full calculation to recalculate the member or the database. What are the files used during Restructuring? What are the actions that improve performance for restructuring? · If you change a dimension frequently, make it sparse. · Use incremental restructuring to control when Essbase performs a required database restructuring. · Select options when you save a modified outline that reduce the amount of restructuring required. Which restructure operations are faster? If a member of a dense dimension is moved, deleted, or added, Essbase restructures the blocks in the data files and creates new data files. When Essbase restructures the data blocks, it regenerates the index automatically so that index entries point to the new data blocks. If a member of a sparse dimension is moved, deleted, or added, Essbase restructures the index and creates new index files. If a change affects only the database outline, Essbase does not restructure the index or data files. Explain the process of dense restructure? 1. Creates temporary files that are copies of the .ind, .pag, .otl, .esm, and .tct files. Each temporary file substitutes either N or U for the last character of the file extension, so the temporary file names are .inn, essxxxxx.inn, essxxxxx.pan, dbname.otn, dbname.esn, and dbname.tcu. 2. Reads the blocks from the database files copied in step 1, restructures the blocks in memory, and then stores them in the new temporary files. This step takes the most time. 3. Removes the database files copied in step 1, including .ind, .pag, .otl, .esm, and .tct files. 4. Renames the temporary files to the correct file names: .ind, .pag, .otl, .esm, and .tct. Explain the process of sparse restructure? Essbase allows you to choose whether data blocks that are stored on disk are compressed, as well as which compression scheme to use. When data compression is enabled, Essbase compresses data blocks when it writes them out to disk. Essbase fully expands the compressed data blocks, including empty cells, when the blocks are swapped into the data cache. What are types of data compression? 2. Run-length encoding (RLE). Essbase compresses repetitive, consecutive values --any value that repeats three or more times consecutively, including zeros and #MISSING values. Each data value that is repeated three or more times uses 8 bytes plus a 16 byte repetition factor. 3. zlib compression. Essbase builds a data dictionary based on the actual data being compressed. This method is used in packages like PNG, Zip, and gzip. Generally, the more dense or heterogeneous the data is, the better zlib will compress it in comparison to bitmap or RLE compression. 4. Index Value Pair compression. Essbase applies this compression if the block density is less than 3%.Index Value Pair addresses compression on databases with larger block sizes, where the blocks are highly sparse. zlib does not use this. When do you use RLE over Bitmap Compression? When do you disable compression? You may want to disable data compression if blocks have very high density (90% or greater) and have few consecutive, repeating data values. Under these conditions, enabling compression consumes resources unnecessarily. Don't use compression if disc space/memory is not an issue compared to your application. It can become a drain on the processor. Essbase issues write (exclusive) locks for blocks that are created, updated, or deleted, and issues read (shared) locks for blocks that should be accessed but not modified. By issuing the appropriate locks, Essbase ensures that data changed by one operation cannot be corrupted by a concurrent update. When a database is in read/write mode, Essbase considers every update request to the server (such as a data load, a calculation, or a statement in a calculation script) as a transaction. What is transaction control file? Essbase tracks information about transactions in a transaction control file (dbname.tct). What is isolation level and what are the types of isolation levels? Isolation levels determine how Essbase commits data to disk. Essbase offers two isolation levels for transactions --committed access and uncommitted access (the default). When data is committed, it is taken from server memory and written to the database on disk. Essbase automatically commits data to disk. There are no explicit commands that users perform to commit data blocks. Talk about committed and uncommitted access? What are the advantages and disadvantages of using committed access? You can optimize data integrity by using committed access. Which transaction is always in committed mode? The index cache is a buffer in memory that holds index pages. How many index pages are in memory at one time depends upon the amount of memory allocated to the cache. What is Data file cache? The data file cache is a buffer in memory that holds compressed data files (.pag files). Essbase allocates memory to the data file cache during data load, calculation, and retrieval operations, as needed. The data file cache is used only when direct I/O is in effect. The data cache is a buffer in memory that holds uncompressed data blocks. Essbase allocates memory to the data cache during data load, calculation, and retrieval operations, as needed. The calculator cache is a buffer in memory that Essbase uses to create and track data blocks during calculation operations. What is Dynamic calculator cache? The dynamic calculator cache is a buffer in memory that Essbase uses to store all of the blocks needed for a calculation of a Dynamic Calc member in a dense dimension (for example, for a query). What are the memory caches used by Essbase to coordinate memory usage? Index Cache: Min -1024 KB (1048576 bytes) Default - Buffered I/O : 1024 KB (1048576 bytes);Direct I/O : 10240 KB (10485760 bytes) Opt -Combined size of all essn.ind files, if possible; as large as possible otherwise.Do not set this cache size higher than the total index size, as no performance improvement results. Data File Cache: Min - Direct I/O: 10240 KB(10485760 bytes) Default -Direct I/O: 32768 KB(33554432 bytes) Opt -Combined size of all essn.pag files, if possible; otherwise as large as possible.This cache setting not used if Essbase is set to use buffered I/O. Data Cache:Min - 3072 KB (3145728 bytes) Default - 3072 KB (3145728 bytes) Opt -0.125 * the value of data file cache size. Calculator Cache:Min - 4 bytes Max: 200,000,000 bytes Default - 200,000 bytes Opt -The best size for the calculator cache depends on the number and density of the sparse dimensions in your outline. The optimum size of the calculator cache depends on the amount of memory the system has available. What is the structure of currency applications? In a business application requiring currency conversion, the main database is divided into at least two slices. One slice handles input of the local data, and another slice holds a copy of the input data converted to a common currency. What are the three dimension that should be present in main database of currency application? · A dimension tagged as time. · A dimension tagged as accounts. · A market-related dimension tagged as country. What are the dimensions that should be present in currency database of currency application? · A dimension tagged as time, which is typically the same as the dimension tagged as time in the main database. · A dimension tagged as country, which contains the names of currencies relevant to the markets (or countries) defined in the main database. · A dimension tagged as accounts, which enables the application of various rates to members of the dimension tagged as accounts in the main database. · A currency database, which typically includes an optional currency type dimension, which enables different scenarios for currency conversion. What are the conversion methods supported by Essbase for currency applications? · Overwriting local values with converted values. · Keeping local and converted values. What is the process to build a currency conversion application and perform conversions? 1. Create or open the main database outline. 2. Prepare the main database outline for currency conversion. 3. Generate the currency database outline. 4. Link the main and currency databases. 5. Convert currency values. 6. Track currency conversions. 7. If necessary, troubleshoot currency conversion. Can we convert the converted currency back into its local currency? You can convert the data values back to the original, local currencies by using the CCONV TOLOCALRATE command. When you convert currencies using the CCONV command, are the resulting data blocks are marked as dirty or clean? When you convert currencies using the CCONV command, the resulting data blocks are marked as dirty for the purposes of Intelligent Calculation. Thus, Essbase recalculates all converted blocks when you recalculate the database. What is CCTRACK? You can use the CCTRACK setting in the essbase.cfg file to control whether Essbase tracks the currency partitions that have been converted and the exchange rates that have been used for the conversions. By default CCTRACK is turned on. What are the reasons to turn off CCTRACK? For increased efficiency when converting currency data between currency partitions, you may want to turn off CCTRACK. For example, you load data for the current month into the local partition, use the DATACOPY command to copy the entire currency partition that contains the updated data, and then run the conversion on the currency partition. How can you turn off CCTRACK? You can turn off CCTRACK in three ways: · Use the SET CCTRACKCALC ONOFF command in a calculation script to turn off CCTRACK temporarily · Use the CLEARCCTRACK calculation command to clear the internal exchange rate tables created by CCTRACK. What is LRO (Linked reporting objects)? An LRO is an artifact associated with a specific data cell in an Essbase database. LROs can enhance data analysis capabilities by providing additional information on a cell. How do you create LRO's? Users create linked objects through Essbase Spreadsheet Add-in for Excel by selecting a data cell and choosing a menu item. There is no limit to the number of objects you can link to a cell. The objects are stored on the Essbase Server where they are available to any user with the appropriate access permissions. Users retrieve and edit the objects through the Essbase Spreadsheet Add-in for Excel Linked Objects Browser feature, enabling them to view objects linked to the selected cell. Does adding or removing links to a cell does not affect the cell contents? No.LROs are linked to data cells --not to the data contained in the cells. The link is based on a specific member combination in the database. Give a few examples of LRO's? How does Essbase locate and retrieve linked objects? Essbase uses the database index to locate and retrieve linked objects. If you clear all data values from a database, the index is deleted and so are the links to linked objects. If you restructure a database, the index is preserved and so are the links to linked objects. Do shared members share LRO's? Shared members share data values but do not share LROs. This is because LROs are linked to specific member combinations and shared members do not have identical member combinations. To link a given object to shared members, link it to each shared member individually. Can you change the member combination associated with any linked object? You cannot change the member combination associated with any linked object. To move an object to another member combination, first delete it, then use Essbase Spreadsheet Addin for Excel to re-link the object to the desired member combination. Why do we need to limit the LRO file sizes for storage conversion? Because Essbase stores linked files in a repository on the server and, by default, the size is unlimited. Limiting the file size prevents users from taking up too much of the server resources by storing extremely large objects. You can set the maximum linked file size for each application. 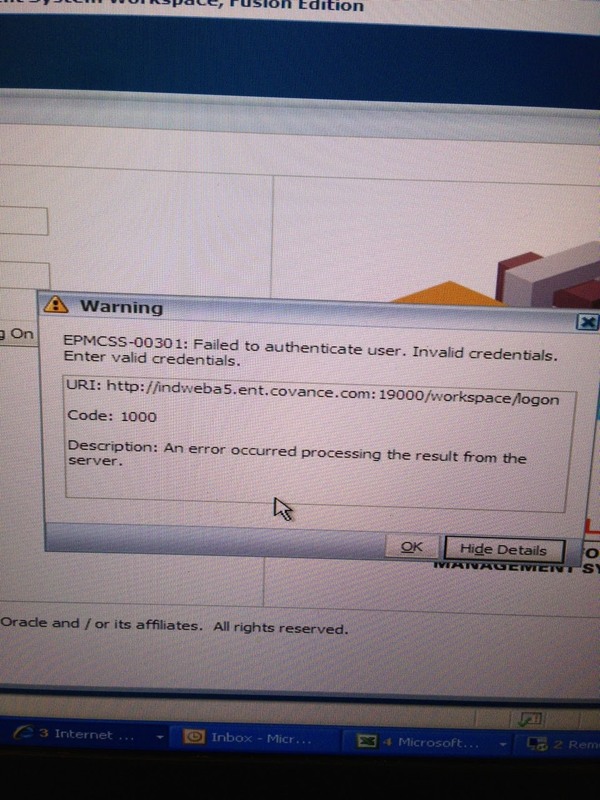 If a user attempts to link a file that is larger than the limit, an error message displays. A partition is the piece of a database that is shared with another database. An Essbase partitioned application can span multiple servers, processors, or computers. Essbase Partitioning is a collection of features that makes it easy to design and administer databases that span Essbase applications or servers. Partitioning is licensed separately from Essbase. What are the types of Partitions available in Essbase? Three types of partitions are there. What is the process for designing a partitioned database? Here is the suggested process for designing a partitioned database. 2. Determine whether the database can benefit from partitioning. 3. Identify the data to partition. 4. Decide on the type of partition. 5. Understand the security issues related to partitions. What are the parts of partition? · Data source information: The server, application, and database name of the data source. · Login and password: The login and password information for the data source and the data target. · Shared areas: A definition of one or more areas, or sub cubes, shared between the data source and the data target. · Member mapping information: A description of how the members in the data source map to members in the data target. · State of the partition: Information about whether the partition is up-to-date and when the partition was last updated. What are benefits of partitioning? · Data synchronization across multiple databases. · Outline synchronization across multiple databases. · Ability for user navigation between databases with differing dimensionality. Can you define different types of partitions between the same two databases? Can a single database serve as the data source or data target for multiple partitions? An overlapping partition occurs when similar data from two or more databases serve as the data source for a single data target in a partition. Is overlapping partition valid in all the partitions? An overlapping partition is allowed in linked partitions, but is invalid in replicated and transparent partitions and generates an error message during validation. When do you use substitution variables in partitions? Using substitution variables in partition definitions enables you to base the partition definition on different members at different times. Can we use attribute values to partition a database? Can we partition an attribute dimension? No, we cannot partition an attribute dimension. What is the limitation on version and mode during partition? In addition, for transparent and replicated (but not linked) partitions, the application mode of both ends of the partitions must be the same--either Unicode mode or non-Unicode mode. What are the major difference between ASO & BSO? What is "Enterprise Analytics"? ASO in System 9 is called Enterprise Analytics. Explain in detail about the features of ASO? · ASO databases are created specifically to deal with the requirements of very large sparse data sets with a high no of dimensions and potentially millions of members. · ASO do not have indexes or data blocks. · ASO do not use calculation scripts. Bcoz calculations are not complex. · ASO uses a new kind of storage mechanism that allows improved calculation times from 10 to100 times faster than BSO. · ASO can store up to 252 dimensional combinations. · The front end tools usually do not care if the database is ASO or BSO. Even Maxl sees minor differences. · We can have attribute dimensions in ASO. · In ASO there is no concept as dense and sparse dimensions. · We do not have two pass logic and built in time balance functionality. ( time balance functionality is present from 9.3 version onwards). · Member formulas are not supported in stored hierarchies. · Only non consolidation (~) and addition (+) operators are supported in shared hierarchies. · We cannot create more than 1 database in ASO. · ASO does not utilize procedural calculation scripts. · ASO formulas are written in MDX syntax. · ASO has Accounts dimension but it is completely different from the account dimension of BSO. · ASO is read-only. You cannot write to ASO databases, but there is a workaround using transparent partitions and pointing to an attached BSO database for those duties. · You can load data to level zero members only. · The database must restructure after any members in the standard dimensions are added ,deleted or moved. In fact most actions on an ASO outline will either cause a loss of data or restructure. How do you differentiate ASO applications? You can easily differentiate the ASO database in the Administrative Services Console by the red star beside the application name. How do you create an ASO database using ASO Outline Conversion Wizard ? You can also create an ASO database using ASO Outline Conversion Wizard. This wizard uses the existing BSO database to convert to an ASO database. This is advantageous because we do not need to create an ASO database from the Scratch. However we need perform reengineering of dimensions and hierarchies. How do you create ASO in the Automated Way? The final way of creating an ASO application is by using "Create Application" , "Create Database" ,"Create Outline " commands using MaxL. Typically this method is used when you are running the MaxL command as a part of the batch job. 2. Set the Essbase server to Unicode Mode via Administrative Services or MaxL. 3. Check the Unicode box when creating a new Unicode -mode application. 4. You can also migrate from non-Unicode applications to Unicode applications (but not the other way round). One of my Business user recieved an error when she was running Smart view query, which had lot of attributes in her retrive sheet. Eventhough I increased NetDelay and NetRetrycount in essbase.cfg, but that does not resolve this problem. She was using IE7 on XP SP3. Apparently the query which the user was running takes around 45 seconds. The IE7 time out setting was causing it to error out. we need to change (add) three new registry keys to resolve the issue. If the above settings does not make any difference and the version of SmartView is 9.3.1.2, it may need to upgrade SmartView 9.3.1.4 or higher version. Here are the Screen shots for changing the registry settings. Validate whether you have right keys or not. Labels: Smart View retrieval error. If you are planning admin and had to restart planning services. here is the order you have to follow to restart. please find some Q&A, which provide you with essbase overview. What is Essbase OLAP server? An OLAP server is a multidimensional database for storing data with an unlimited number of dimensions such as time, region, accounts, channel or products. Essbase server manages analytical data models, data storage, calculations, and data security. What are the Essbase Application tools? Copying a slice of a large database to work with it locally, or link from your database directly to other databases. What is a Hybrid Analysis? Hybrid analysis integrates relational databases with Essbase databases to combine the size and scalability of the relational database with conceptual power and analytical capabilities of the multidimensional Database. What are administrative requests and client requests? What is the use of multidimensional database such as Essbase? Multidimensional database supports multiple views of data sets for users who need to analyze the relationships between data categories. For example marketing analyst needs detailed information in different view than the manager. With the multidimensional DB users can pivot the data to see information from different view point, drill down to find more detailed information or drill up to see an over view. Relational database have more data and have all transactions information. Whereas the Essbase has limitations on data which it can hold. In Essbase the filters (security) can be given until the data cell value. Whereas in RDBMS the security can be given only until table view. In RDBMS we can see only one view. Dimensions are static in most databases. DB dimensions rarely change over the life of an application. It defines type of dimensions. Aliases, member formulas etc. Dense dimensions followed by sparse dimensions followed by Attribute dimensions. How do you order the Outline? What is the highest level of consolidation in the outline? Is there any limitation on number of members? No. Essbase does not limit the number of members within a dimension and allows you to add new members as needed. Parent is a member, which has a branch below it. Child is a member, which has a parent above it. Siblings are the child members of same immediate parent, at the same generation. Descendants are all members in branches below a parent. Ancestors are all members in above a member. Root is a top member in a branch. Leaf member has no children. Generation number refers to the consolidation levels within a dimension. Level also refers to a branch within a dimension. What is a cell/data value? A data value is defined by the intersection of all standard dimensions in the database. What is the maximum number of values in the database? Why do we need to have classification as dense and sparse dimensions? As the data is no smoothly and uniformly distributed and data does not exist for the majority of members. Essbase speeds up data retrieval while minimizing the memory and disk requirements. A sparse dimension is a dimension with a low percentage of available data positions filled. A dense dimension is a dimension with a high probability that one or more data points are occupied in every combination of dimensions. What are the two types of internal structures in Essbase? The two types of internal structures are to store data and access data. What is a Data block? Data block is a cube created for each unique combination of sparse standard dimension members (provided that atleast one data value exists for sparse member combination). The Data block represents all the dense dimension members for its combination of sparse standard dimensions. Its size depends on number of dense dimensions. How does Essbase calculate the data? Essbase creates Index entry for each data block. The index entry represents the combinations of sparse standard dimensions. It contains an entry for each unique combination of sparse standard dimension members for which atleast one data value exists. What happens if you make all dimensions sparse? Data blocks are created for each unique combination of sparse standard dimension members. Thus a large number of dense blocks are created, and thus a huge index containing pointers (or addresses) for all those data blocks. Huge index consumes large amount of memory. The more index entries the longer Essbase searches to find a specific block. What happens if you make all dimensions dense? Only one huge sparse block is created with only one index entry. This block is very sparse. This configuration requires thousands of times more storage than other configurations. Essbase need to load the entire data block into memory when it searches for a data value, which requires enormous amounts of memory. What are the different types of data sources? What is a shared member? The shared member concept lets two members with the same name share data. The shared member stores only pointer to the data contained in the other member, so the Essbase only stores the data once. Shared members should be in the same dimension. What dimension can be given time balance properties? Only accounts dimensions can be given time balance, expense reporting, and country and currency properties. What is the use of variance reporting? Variance reporting properties defines how Essbase calculates the difference between actual and budget data in members with @VAR, @VARPER functions in their member formula. It is a predefined routine to carry on specific task or calculation. Formulas are used to calculate relationships between members in the DB Outline. What is a dynamic Calc? When you tag a member as dynamic calc, Essbase calculates the combinations of the member only when user retrieves data, instead of pre calculating member combinations during the regular DB. Dynamic calc shorten the regular calc time, but may increase the retrieval time for dynamically calculated data values. What are the advantages of Dynamic calc? What are the members for which Two-pass calculations can be given? How does a user can view data? Can you load data or calculate data on client machine? Applications and Databases created on client machine are used only to store database objects, such as outlines and calc scripts. You cannot load or calculate data on a client machine. What is a rule file? Data load rules are set of operations that Essbase performs on the data from external data source file as it is loaded, or copied into the Essbase database. Specifying the data load rules is the most common way to load data into the Database. Dimension build rule files create or modify an outline dynamically based on the data in the external source file. What is a calculation script? Calc script is a text file with set of instructions telling Essbase how to calculate data in the database. It has “. csc” extension. What is a Report script? Report script is a text file with a set of instructions on data retrieval, formatting and output to create a report from the database. Report script has .REP extension. What is a Linked Reporting Object (LRO)? A paragraph of descriptive text (” cell note”). A separate file that contain text, audio, video or graphics. An URL (Uniform Resource Locator). A link to data in another Essbase database. With the spreadsheet add-in, users can define member retrievals with the member select feature. If users want to save member select specification, they can do so with a “.sel” file. How can you create a database? Application and database names should be less than 8 characters. Substitution variables act as global placeholders for the information that changes regularly. Each variable has a value assigned to it. The value can be changed at any time by the DB designer, thus manual changes are reduced. Ex :- currmnth. You cannot use the substitution variables in formulae that are applied to the DB outline. The value of the substitution variable cannot be more than 256 characters. What is a location alias? A location alias maps an alias name for a DB to the location of that DB. You can use location aliases only with the @XREF function. With @XREF function you can retrieve data value from another database to include in calculation in the current database. In this case, the location alias points to the database from which the value to be retrieved. What happens if you open outlines in two instances? If you open same outline with two instances of application manager using same login id, each save will overwrite the changes of the other instance. What are important points while building an outline? · Boolean attribute dimensions have only two members. What are the restructuring options in saving database? How do you set dense and sparse settings? · You must set the standard dimensions with which you plan to associate attribute dimension as sparse because attributes can only be associated to sparse standard dimensions. · Application manager automatically sets attribute dimensions as sparse. How do you rename members? When does a DB restructure? When you add, delete, or move non-attribute (standard) dimensions or members, Essbase restructure DB and you must recalculate your data. Metadata is data is data about data. Metadata is the data contained in the database outline that describes the values within a DB. What are different types of dimension tags? Can you add time members that are not tagged as time? When do you give an accounts tag to a dimension? You can tag a dimension as accounts if it contains items that you want to measure such as profit or inventory. Time dimension tag says how often you collect and update data. The time dimension enables several accounts dimension functions such as first and last time balances. What is the significance of time balance properties? When you set a time balance property on a member in an accounts dimension, it affects how Essbase calculates the parent of that member in the time dimension. Skip properties, expense reporting, Time Balance properties are applicable only to the accounts dimension. What is a Two-Pass calculation? By default Essbase calculates outlines from the bottom up first calculating the values for children and then values for parent. Sometimes however the values of children depend may be based on the values of parent or the values of other members in the outline. To obtain correct values for these members, Essbase must first calculate the outline and then recalculate the members that are dependent on the calculated values of the other members. The members that are calculated on the second pass through the outline are called Two-Pass Calculation. Only accounts, dynamic calc, dynamic calc and store members can be given two pass calculation. What does the consolidation properties do? Member consolidation determines how children roll up into their parents. Default (+) operator. Essbase don’t use consolidation properties for attribute dimensions. Essbase automatically tags members of the attribute dimensions as dynamic calc. you cannot change this setting. When do you use label only? When no data is associated with members we use label only. They are used only to ease navigation and reporting from the spread sheet add-in. Fragmentation is unused disk space. transactions running on the database. For databases less than 50 MB using the Direct I/O access mode, the fragmentation quotient tends to be high. A high fragmentation quotient does not necessarily indicate a need to reduce fragmentation, because the free space is created in 8 MB chunks and all of it might not get used right away.